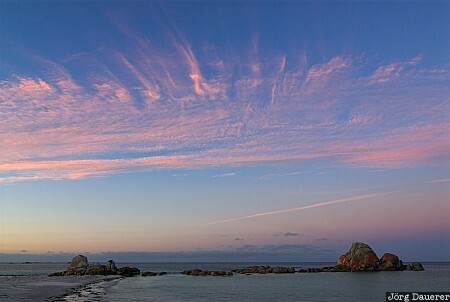 Colorful clouds and Rocks in the Tasman Sea at Picnic Point in Mount William National Park, northern Tasmania, Australia. This photo was taken in the evening of a sunny day in April of 2007. This photo was taken with a digital camera.